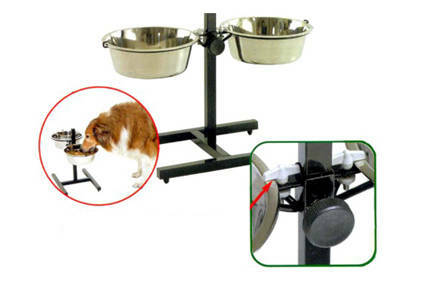 With this foot support for two feeders can make meals for your dog more comfortable. The product includes two feeders in color silver. The dog is much more comfortable to eat with his head, and thus not moving all their weight on their hands. This system is especially recommended if you have problems in the cervical vertebrae and also for dogs with elders. 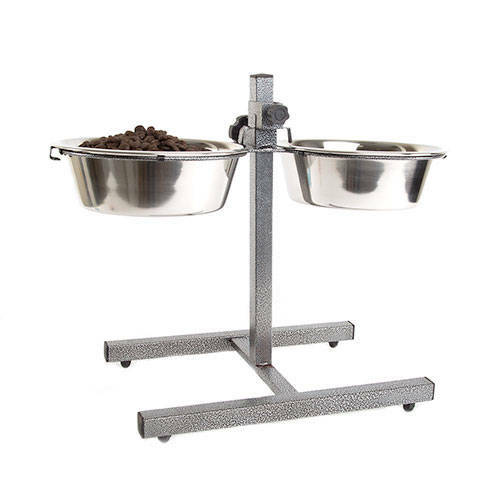 This product is a foot support with adjustable height for two feeders. The foot is metallic, manufactured with resistant materials, and a practical system of grip pressure for the dishes. Includes two troughs. Size small, tall bar vertical 12 cm. Medium-sized and large full height 42 cm.